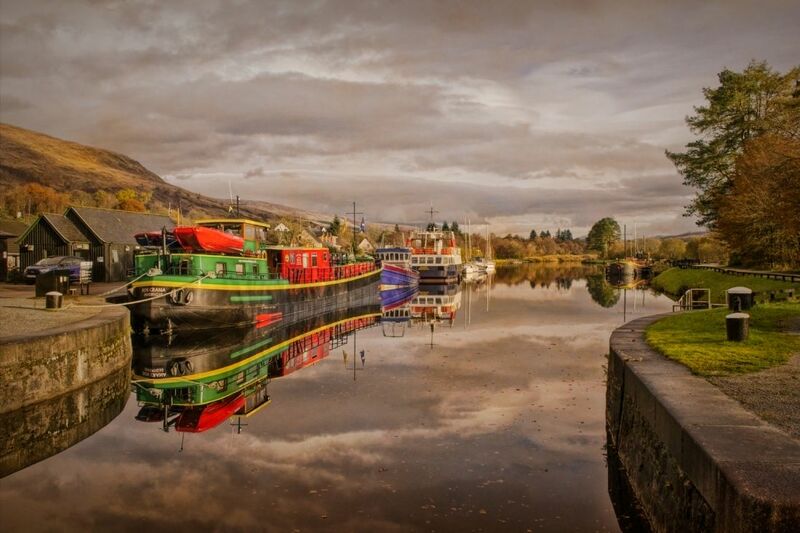 Resting boats on the Southern end of the caledonian canal at Banavie near Fort Williamm Scotland. 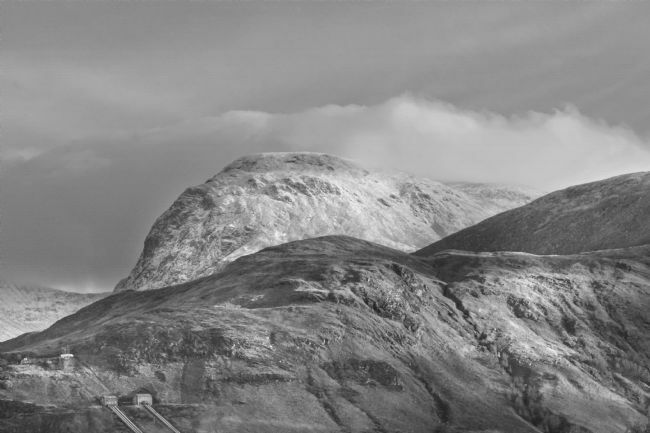 Ben Nevis is the highest mountain in Scotland and the UK. Standing at a height of 4,411 ft above sea level. 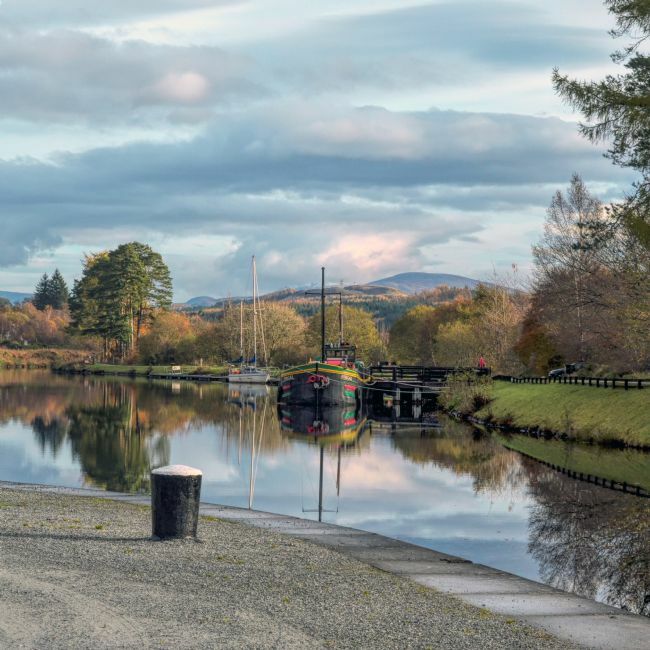 This is the end or the start at the southern tip of the Caledonian Canal at Banavie near Fort William in Scotland. 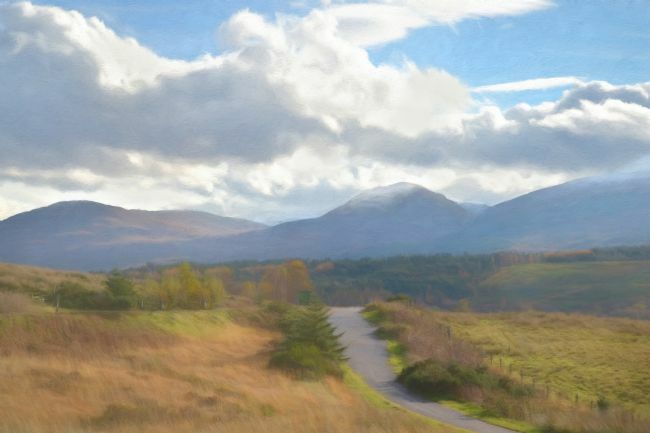 The road to Spean Bridge and Fort William in Scotland.